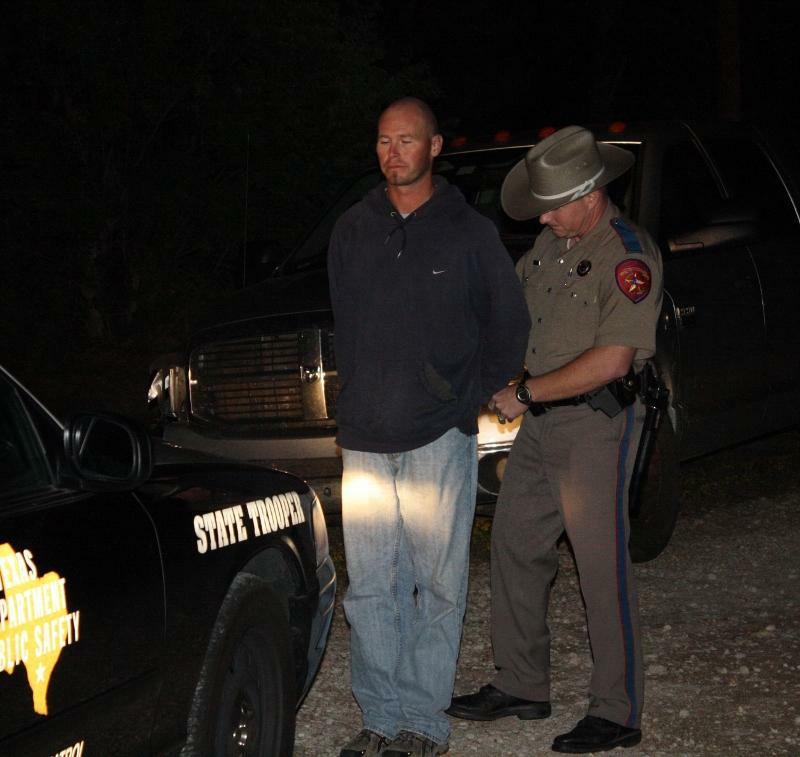 Concerned Citizen: Trooper Donny Akers thanked Andy Schmidt for his help in getting an intoxicated driver off the road. 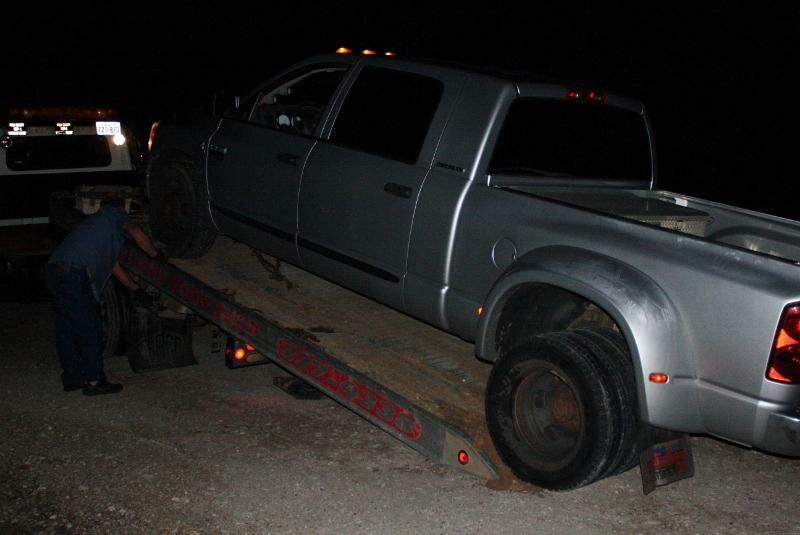 Driver Slams Guard Rail, Flees Scene, Busted for DWI, SCENIC LOOP, October 30, 2011 - At approximately 9:45 pm on October 29, 2011, a silver 2007 Dodge 1 ton pickup driven by Matthew Robert Metzler, 30, of Livingston, was west bound of FM-3277. According to Metzler, he was driving to the Whirlwind Club. Metzler never made it to the Whirlwind because his truck veered to the right and struck a guard rail heavily damaging the guard rail. Local resident, Andy Schmidt heard the crash "...it sounded like gunshots as the wooden poles were snapping" Schmidt told PolkCountyToday.com. Schmidt jumped into his vehicle out of concern for the driver's safety. When Schmidt arrived, he spotted Metzler turning his truck around and fleeing the scene. Schmidt immediately contacted the Polk County Sheriff's Office to report the accident. Trooper Donny Akers was dispatched to investigate. Metzler hobbled around a mile down the road trying to flee and pulled his truck onto Dawn Road (off 3277). Schmidt also pulled onto the road. Trooper Akers arrived and listened to Schmidt's account of what happened and then went to Metzler's vehicle. 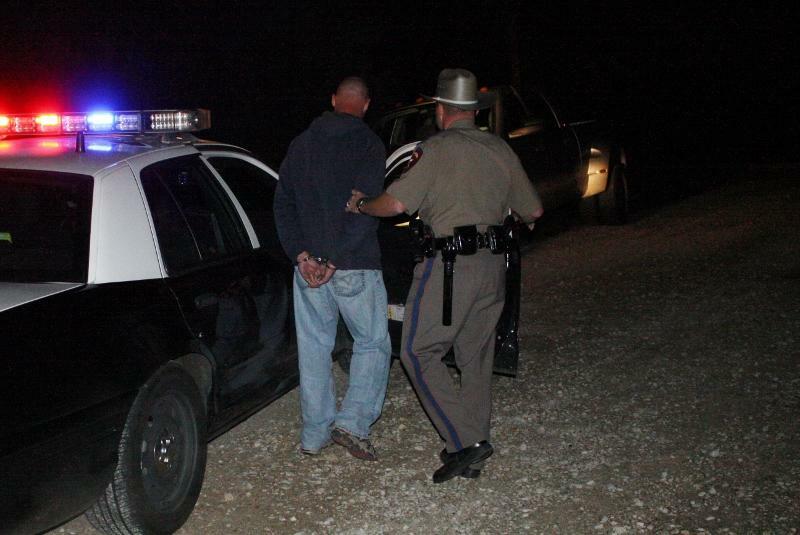 Akers detected intoxication and conducted a field sobriety test on Metzler. Matthew Metzler was placed under arrest and charged with driving while intoxicated and fleeing the scene of an accident. A rollback wrecker from Ken's Towing recovered Metzler's vehicle and it will be stored at Harrison Body Shop in Livingston. The scene was cleared by 11:30 pm. 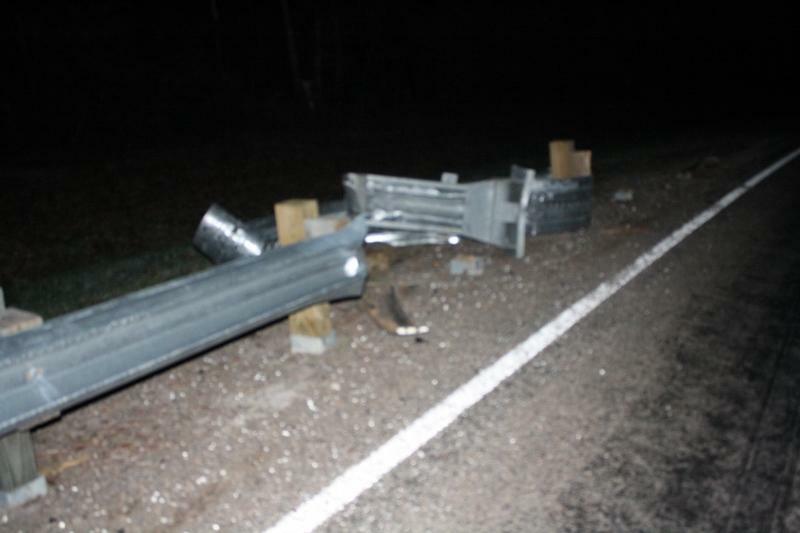 This guard rail on FM-3277 shows heavy damage after being struck by Matthew Metzler's Dodge pickup. 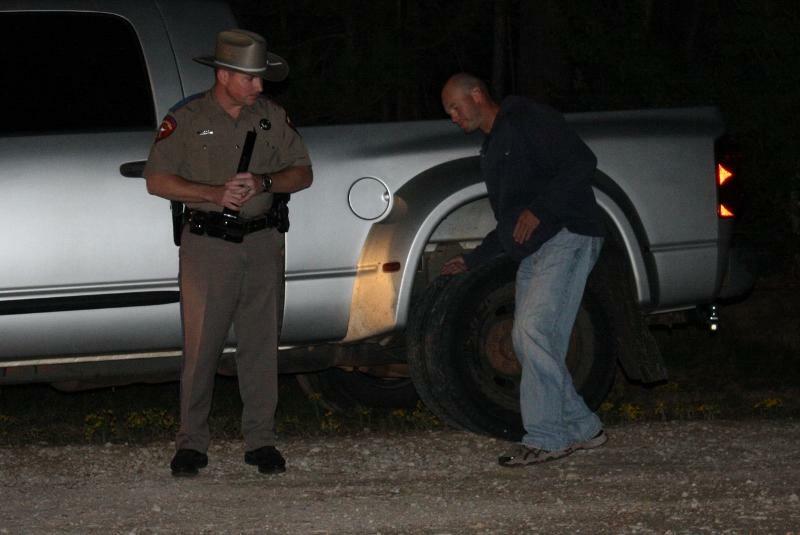 30 year old Matthew Metzler falls into his own truck during a field sobriety test being conducted by Trooper Donny Akers. 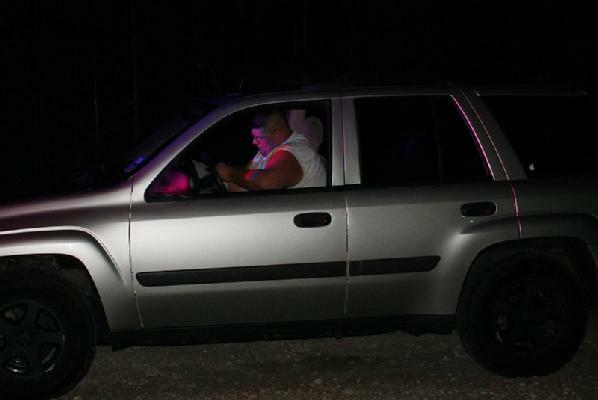 Trooper Donny Akers places Metzler under arrest for driving while intoxicated. Metzler is loaded into Akers' unit to be taken to Polk County Jail. 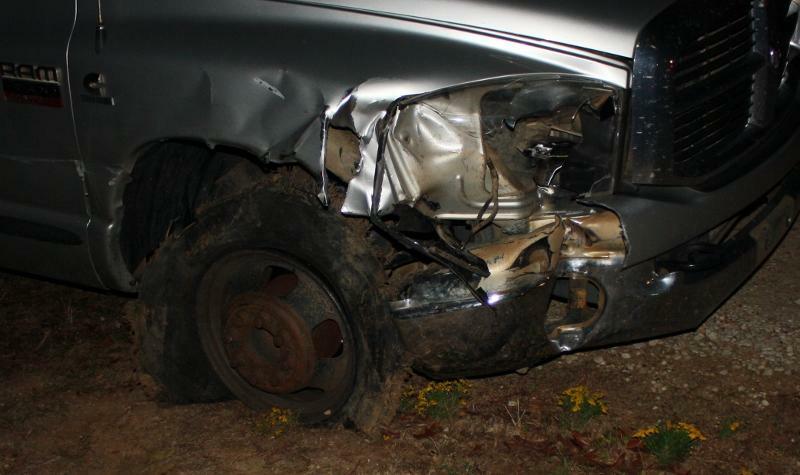 Metzler's 2007 Dodge Truck shows the damage where his truck struck the guardrail. Note the shredded tire that Metzler was driving with after striking the guard rail when he was attempting to flee the scene. 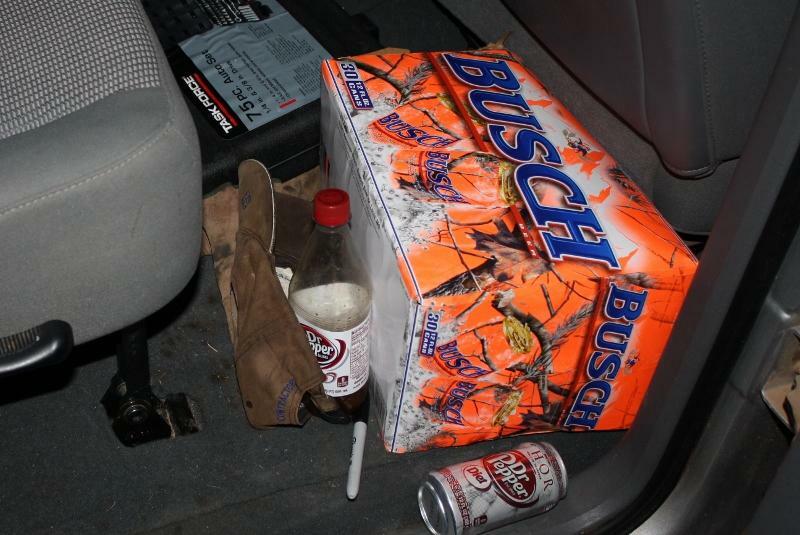 A case of Busch beer was found on the back floorboard of Metzler's truck. 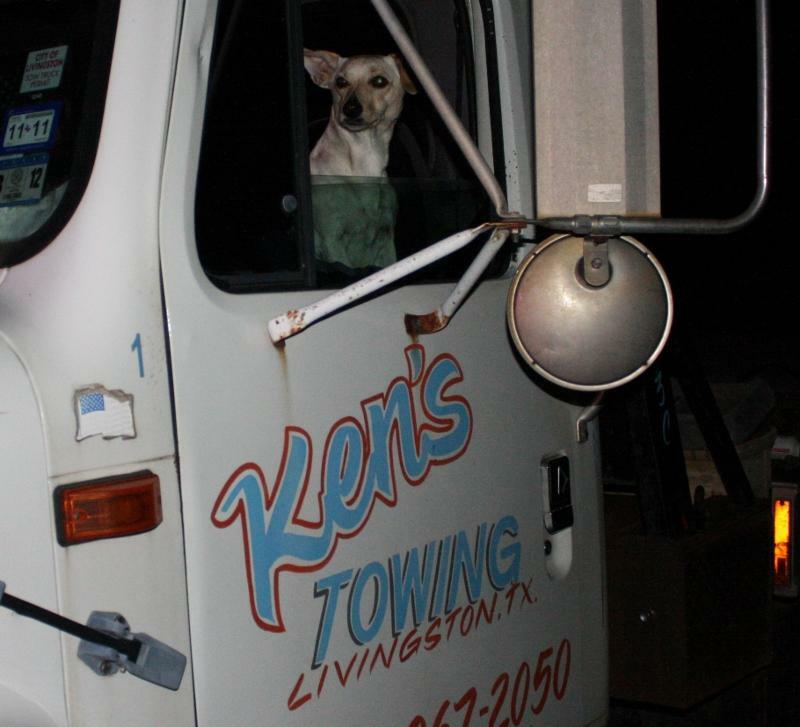 Metzler's vehicle was recovered by Ken's Towing (Houdini watches the situation closely).